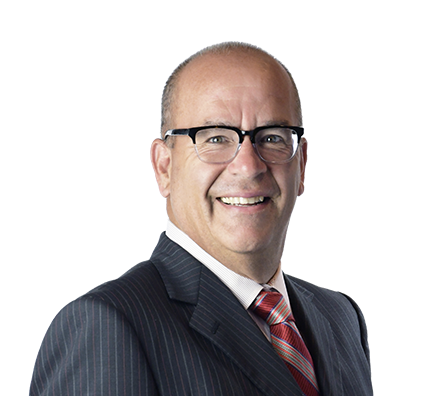 Joseph practices in taxation, with specific experience in state and local contested matters, litigation and planning. He has successfully represented all types and sizes of taxpayers, including airlines, railroads, telecommunication companies, IT firms, corn and ethanol producers, seed and other agribusinesses, healthcare providers, manufacturers, developers, property managers, local businesses and individuals. Joseph’s representation of taxpayers has covered property tax, sales and use tax, transfer tax, and franchise and income tax disputes with the Wisconsin Department of Revenue, other states’ departments of revenue and local assessing authorities. Joseph is an adjunct professor at the University of Wisconsin-Milwaukee School of Business, where he teaches all four courses required of students to obtain a Graduate Certificate in State and Local Taxation: Property Taxation, Multistate Income Taxation, Sales and Use Taxation, and Managing Audits. Joseph is the principal author of the Wisconsin Chapter of the American Bar Association’s Property Tax Deskbook, and is a frequent speaker and writer on all matters of state and local taxation. Represented landscaping companies in defense of Wisconsin sales/use tax audits. Advised corn and ethanol producer on obtaining various state and local tax exemptions. Represented a taxpayer in defense of a Wisconsin sales/use tax assessment, in which the Department alleged that the taxpayer’s simulcasts were taxable telecommunication and/or cable television services. Counseled agribusiness on reducing its property tax burden. Represented taxpayers in drafting property tax and sales/use tax statutory exemption language. Represented telecommunication and air carrier companies in defense of property tax assessments. Advised ripeners and wholesalers of produce on obtaining manufacturing classification and exemptions for sales and use and property tax purposes. Represented a taxpayer in successful litigation to obtain manufacturing classification and property tax exemption for its produce ripening activities. Represented a marine construction contractor in defense of Wisconsin income/franchise and sales/use tax assessments involving statutory interpretation and exemption issues. Advised manufacturer of vitamins and supplements in multistate franchise and income tax matters. Counseled an oil company on reducing its property tax assessment by several million dollars. Represented taxpayer in Alabama tax tribunal in connection with sales tax issues relating to the distinction between taxable goods versus nontaxable services. Advised taxpayers on efforts to obtain informal private letter rulings on various sales/use tax issues. Represented taxpayers in general sales/use and property tax planning. Testified before state Legislature on status of, and alternatives to, Wisconsin’s personal property tax system. Testified before state Legislature on merits of enacting law requiring property tax exemption applications. Represented and advised clients on multistate income/franchise and sales/use tax compliance, including nexus determinations, corporate registrations, voluntary disclosure and amnesty programs. Represented construction companies in defense of sales/use tax audits. Advised clients in negotiating and finalizing direct purchase agreements with tax-exempt entities to allow for the tax-free purchase of construction materials. Secured exemptions from property taxes and/or negotiated payments-in-lieu-of-taxes. Represented taxpayers in audits and contested tax matters involving income, property, sales/use, and transfer fee taxes.